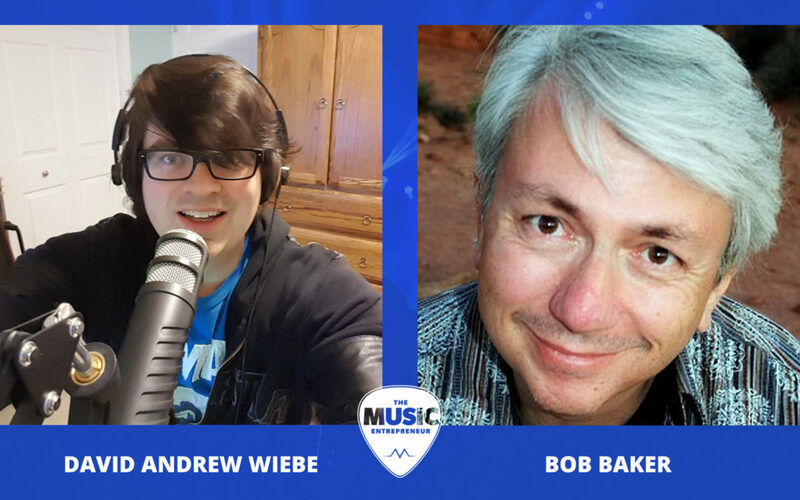 In one of David Andrew Wiebe’s most in-depth interviews, David invites creative extraordinaire Bob Baker to share about self-publishing, sales pages, landing pages, guest blogging, creative entrepreneurship, and much more. 42:45 – What did you learn from talking to so many notable entrepreneurs? 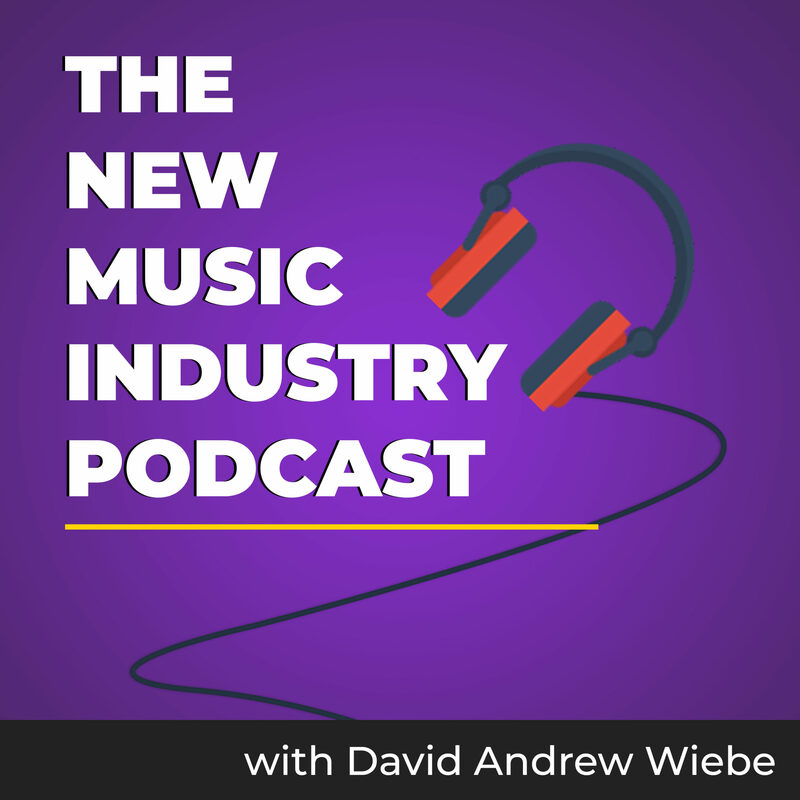 45:24 – What common beliefs are holding artists back? 55:00 – How do you get press and media coverage? 1:07:15 – What books have impacted you? David: My guest today is Bob Baker from thebuzzfactor.com, diycareermanifesto.com, and other domains. 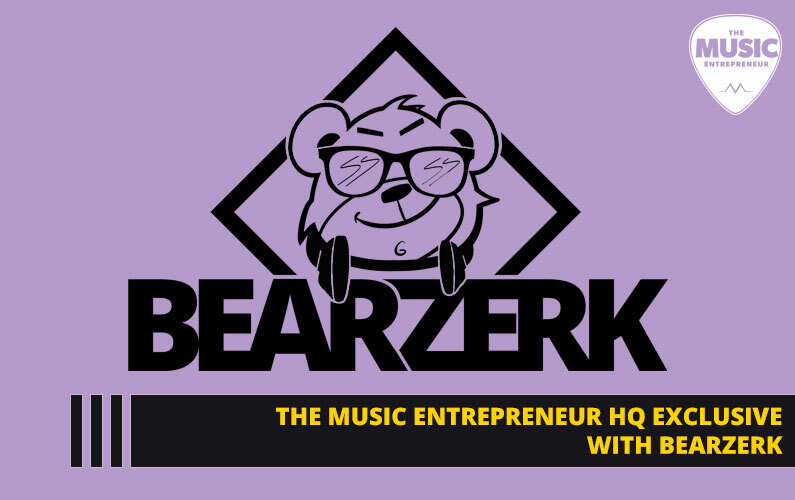 And in case you’ve never heard of Bob, which is maybe possible, he’s a music marketing and creativity expert with many information products to his name. You’re welcome to add to that description, but how are you today, Bob? Bob: David, I’m doing great. And thanks for the invite to come on the show. 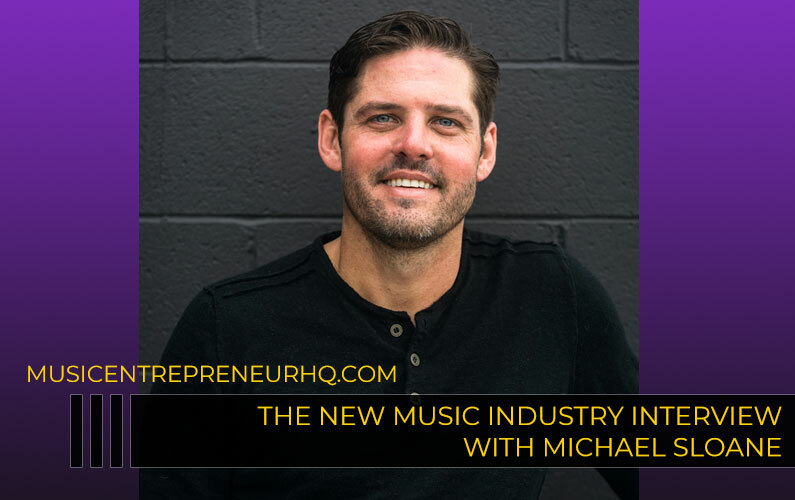 I’m looking forward to chatting about music and entrepreneurship and all that good stuff. David: Yeah, me too. I think this has kind of been long overdue. But there’s a lot of talk online right now, and even in the past, I guess, about creating products that people actually want. 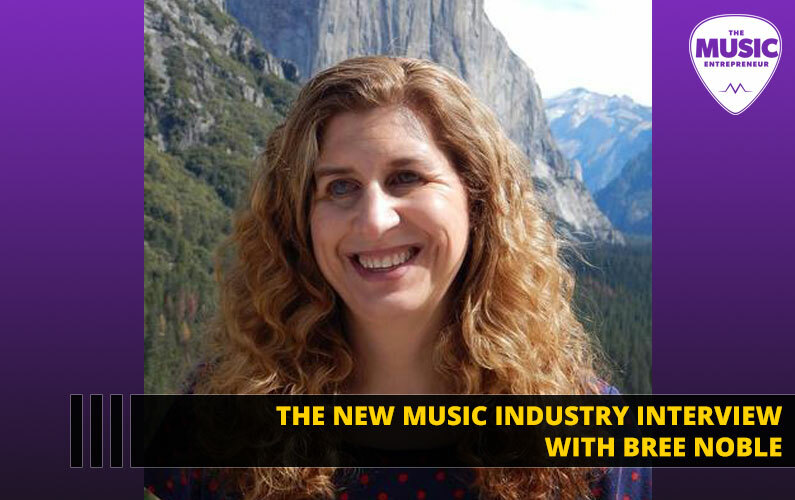 So how do you approach creating information products for musicians and creative people? Bob: Yeah, well that’s something that I’ve been doing for a long time, and it is a learned skill. So there are two things that I’m very lucky that I think that I discovered early on, like the things that I was drawn to doing. Like I know they say “find your passion” or whatever and that means different things to different people, and not everyone kind of knows. But since an early age I was drawn to music, one, back in grade school, and even predating that to the written word. It’s just something I was drawn to. I was writing stories and things on my own outside of school work. And music was something that was…and I didn’t have anybody like family members or friends that were musicians who inspired me. It was just something I was drawn to music and wanted to play it. And eventually, well yea. By middle school, learned the guitar. And so anyway, yeah, so I combined these two passions and started publishing a local music newspaper here. I live in St. Louis, Missouri which is in the Midwest about a five-hour drive south of Chicago in the States. And so, yeah, but I had no previous experience publishing a newspaper. I never worked at a school paper. I never really took journalism classes. I just kind of jumped into it but I learned a lot during those years about serving an audience, and this really was about the readers because the money that came into this newspaper that I published was from the advertisers and they wanted more readers and more distribution and more eyeballs. And so I learned, well what do my readers want? And then that evolved into columns and tips from musicians and then workshops and the work that I’d been doing for the past two-plus decades. And so yeah, there is a whole art to figuring out what…who your audience is and then in the non-fiction information product space, what do they want to learn? What are their biggest problems, their biggest challenges, how can you solve them? So that’s one aspect of it. And then there’s this whole aspect of creating it in a way that people will actually learn from it and then take the stuff and act on it. And so that’s a whole skill in itself in taking it. What’s the topic? What’s the scope? Is it going to be the be-all complete guide to everything you want to know about whatever this topic is? More and more in recent years what I’m doing is actually I like the idea of creating a greater number of products on really more specific aspects of a larger topic like music marketing. There’s publicity, there’s social media within that. There’s one thing just on how to create your website and all the elements that go into that. And so I’m probably doing more to that, being more…going deeper into a specific slice of it. But knowing how to present that information in order that it makes sense and it’s something that…and one thing that I think has served me well is my writing is very conversational. And I come it from a musicians and an artist standpoint, not like from an academic, above all…so, yeah, there’s kind of a wide range answers to your question but that’s my initial thoughts on that topic. David: No, there are some really good points there. Figuring out who your audience is and what their challenge is, creating your product in a way that people will actually learn from and resonate with, creating a greater number of products, I guess more specific, you said, and presenting in an order that makes sense to them, talking in a conversational tone. I think those are all really great tips on that. Bob: Yeah, and there’s another thing over the years is I’ve given workshops to writers and also to marketers too is that I talk about the three Es, like the letter E, the three Es of Communication. And generally, you’re doing one of three things. That’s another thing I like to do is take a complicated topic and break it down into really simple, easy to understand concepts. You can later build onto it and add detail but once you have like a basic framework of something, you have a better understanding of it. But the three E’s are, one is…especially the type of writing that I do and that you do with your own information products, David, one is educate. So you’re giving people information, you’re educating them about a topic so they have a better understanding of it. Another aspect is you can entertain them. So you can, whether you make them laugh or whatever the case is, it’s an enjoyable experience for them. And then the other E is enlighten, which you could also use the word “inspire”. And so that’s where like the light bulb goes off, or they actually feel something. They feel inspired, they feel like, “I can do this.” It changes their mental state about it. And so if you do one of those things really well, you’re doing really well. If you can combine two of them, and if you can do all three at the same time, then you’re really firing in all cylinders and that was something that I realized. Because I think whatever I’ve done…so you may know that I’m a musician, I’m obviously a writer. I also do art like a visual artist. What else do I do? Yeah, I’m an actor. I teach and perform improv comedy too. And I realized at some point of my life that with all of these disciplines that I’m involved in, quite often you’re inspired first maybe by seeing someone else who does it. You see a band, and you go, “Oh, my God. I want to do that.” We all have our favorite bands that inspired us when we were young. And with writing, there were certain authors that I really resonated with. The way that they write, or their voice, or their attitude, or whatever. And so at first when you start to do this on your own you’re sort of emulating people that you admire until you eventually find your own voice within that. And that applies to music or to art or to the written word. But the things I really remembered were those…I think probably the inspirational side of it is when I was, I remember reading…there’d been times when I read a book and there was like an idea just hit me so hard that actually I had to put the book down and like pace around my house and go, “Oh, my God. I finally get it. Hallelujah.” Or whatever. “Eureka!” Maybe that’s the word I’m looking for. And so as a writer I want to actually create that experience for my readers too. And so if I can deliver, I can educate them, make it fun, and every now and then have somebody go, “Oh, my God.” And I literally over the years have gotten just tons of great feedback that shows me I’m on the right course. 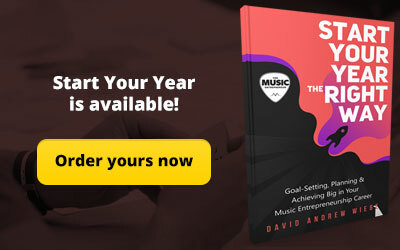 I mean, people have actually written, emailed or talked to me at a conference and say, “Your book changed my life,” which you wouldn’t think would be the case with a music marketing book. But it really is all through their…like they were really maybe disgruntled and hated marketing and it changed them to where they enjoyed it and made it part of the creative process. And so that’s kind of like my philosophy on…I’m not just writing a book. I’m really impacting people’s lives in a meaningful way, ideally. David: Yeah, and you said something there about breaking down complicated topics. That’s something I’ve been thinking about more and more as of late cause my tendency for a little while was just to write these really long posts and throw in the kitchen sink. But by that time it’s become harder to consume and unless you kind of have it broken down into step by step and one, two, three, four, five instead of just a few headings, it gets a lot harder for, I think, people to take something from it. Bob: Yeah, and I often, over the years, have explained it. I compare it to like health and fitness because I, like a lot of people, I sit a lot at the computer, and my weight or whatever, just my general health and nutrition, it can always be in better shape. And so like a lot of people that pursue marketing or building a business or whatever, you can easily dive into all the books on the topic and there’s South Beach Diet and this and that, and Zumba and there’s a tons of different things. And the more you read the more confused you get, and then there’s all these conflicting things about, “Do eat that but don’t eat this. But this book just says the opposite.” And then you get so overwhelmed that you end up not knowing what to do or do nothing. And so I had this realization years ago with health that if I took everything that I’ve ever read about and I know about health and fitness and boil it down to the simplest terms possible, it could be stated in four words. That’s “eat less, move more”. Isn’t that like the most basic and simplest level, and that I can wrap my brain around. So if you could start with that like skeleton or framework which you get and understand and then as you pursue those things you can get again more nuanced about, “Well, what do I eat less of? And how do I move more?” But without that basic framework to start with, to me, it just makes it a lot easier. So that’s what I try to do with the information. How can I break this down? Start off with the super simple, like even a dumb guy like me can understand it, and then build upon that. Put the meat on the bones as you dive into the topic. David: Right. And that could even be a point about curtailing information overwhelm, listening to maybe one or two experts instead of the 30 that you’re subscribed to and getting points from them. Bob: Yeah, and I have a lot friends in the information publishing world. In fact, I don’t know if you know who Jason Van Orden is. David: Oh, I’ve been listening to him for a long time. Bob: Yeah, so the Internet Business Mastery podcast. Bob: And Academy. So actually I met Jason. He’s a musician, he and his wife were pursuing a music career like in the late ’90s, early 2000s, and I actually met them at a music conference while I think he still had a day job. And he does credit me with being one of the early information publishers and online marketers that he observes, which is kind of nice. David: That’s right. That’s right, yeah. Bob: What was I going to say? Oh, yeah, so he and his partner started this podcast…oh no, he first heard the word podcast in an email that I sent out to my list and he was on it back in like 2004-2005 because that’s when I started podcasting. And he was really intrigued by it. He went on to write a book about it. And that’s their main marketing vehicle is their weekly podcasts. It was called Internet Business Mastery. But I’ve heard Jason talk over the years about they had a lot of experience creating courses and like membership sites. And the thing they learned early on is like an information publisher thinks, “Oh, my God. I’ve got to deliver value so I’ve got to include everything in this book or in this course.” and if it’s too much people will get overwhelmed or they’ll get behind. Bob: Right. Exactly. It’s just the little chunk of it. David: Yeah, that’s awesome. What about landing pages? You seem to have some really great landing pages on your site. What goes into creating those types of sales or squeeze pages? Do you do a lot of research on that first? And is writing sales copy one of your strengths? Bob: Well, so there’s a dual answer there. Thank you for the compliments. Actually, one area where I have fallen short, and I readily admit, is the whole tracking and measuring aspect of it. And I do research things but when it comes to doing the intents, where do they click and doing A/B split tests, which is comparing two different sales pages and seeing which one…yeah, it hasn’t been my strength. And then this whole thing about the tipping point where there’s early adopters and then early majority and it’s the things reached…Malcolm Gladwell has a book out which I thought was fascinating, The Tipping Point (get it on Amazon US or Amazon Canada), about when things reach a critical mass and then they become uber popular, or whatever. So it’s the psychology of the artists or the limiting beliefs and the empowering beliefs and how we all battle with those things and then also the psychology of the fan and what they’re attracted to. So, but copywriting was one of those things I was fascinated with and I just have really studied it and written a lot, primarily for my own products. In fact, I’m getting ready to…it’s a little behind schedule but I’m on the verge of releasing like an online course that’s really on this how to make offers, how to describe what it is that you’re selling, and then how to make the offers that compel people to purchase now and to purchase more. And do it in an ethical way, an authentic way. But yeah, so…because I do have a lot of knowledge and skill I think that I’ve developed in that area. Not so much the measuring. And it really comes down to one of the big nuggets is speaking directly to the person, using a lot of you-oriented sentences and phrasing. So what’s in it for the person who’s reading it and not just talking about yourself and how cool you and your product or your music are. What they’re going to experience and how they’re going to benefit is kind of one of the main…but there’s a lot of nuances that go into that. David: Yeah, and I will also say that conversion optimization is not one of my strengths. One breakthrough that I’ve had recently is just with heatmaps and those can be really good for just kind of getting a sense of where people are clicking and what they’re interested in. Bob: Yeah, and for people that might not know that term, yeah, a heatmap is basically it shows you which links or what areas of the site get more…or your page get more activity or clicks than others, right? Bob: So you know that’s working effectively and you can do away with something else. And then A/B split tests is where you send people to a certain URL but it takes like half of the traffic and sends it to one page, and half of the traffic and sends it to another. And I know the theory, and I’ve read a lot about it, I just haven’t done it. But you’re supposed to…like whatever the current pages is called the control or whatever. So you know that one out of every three people that go there or sign up for your list or something. So you’re supposed to change one element, you’re not supposed to make a whole lot of radical changes. But maybe you’ll change the headline or even just the color of the headline or the photo that you use. You take one element and that’s your B. And then you compare it, and whichever one gets a better conversion rate that becomes the new control, is what they call it, and then you change another element. And when people that do that, I guess, you can continue tweaking until you just get higher and higher results but I just have never been disciplined enough to do all that. 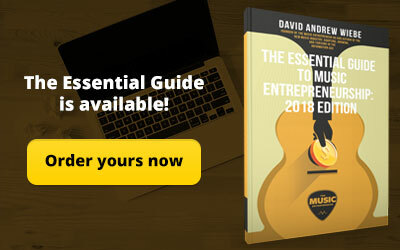 David: And if you start really getting into it it’s so in-depth that you could spend a lot of time on that without actually doing some more meaningful things in your business. Bob: Like writing books or creating new courses. Bob: Or writing music or doing art or something. David: It seems to me that content is kind of the number one thing, so. Yeah. Bob: Exactly. In the author world, which I rotate, I hang out in the music world and the author world and different creative worlds. Although there are other things you should and could be doing in addition to that, I think marketing can play, it should be a balanced role between the creation and the promotion of it, the sharing of it. Especially these days in the digital world that we live in, the clue for the creator is, whether they’re a musician or a writer or whatever, should take an active role and get on friendlier terms with the marketing and the sharing of it and not curse it. Think of it as a necessary evil. However, don’t market it on social media so much that you lose sight of the quality of what you’re creating and putting out too. Because that needs to be there as they both are important and finding that balance is the trick. David: Yeah, that’s so important. What are a few quick do’s and dont’s of sales pages? Bob: Sales pages. Ah, yes. So I already kind of touched on the main one is speaking directly to…and this comes naturally to me for a couple of reasons. One, I’ve been writing since I was a kid, and so the written word or the language, it’s just something I developed a skill at. Also, I’ve been very hypersensitive of marketing copy and writing. So writing copy in a sense is the words that you use to sell something, but it’s also the words that you use to describe it. And so in a lot of people, their natural…so human beings are naturally tended to focus on themselves. Which is why, as an artist and as a self-promoter…I mean, what’s the first word in self-promotion? It’s self. And so you think, “Well, I have a new book out. 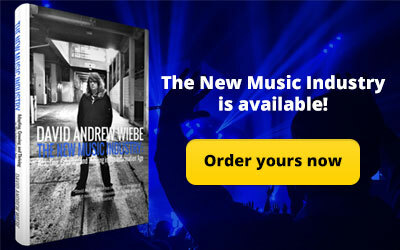 So I’m going to promote me and my book or my new album. And so your sort of nature instinct is to say, “I’m so excited about this new album. I worked so hard on it. I can’t wait to get it out there.” So those are all I-statements. And they’re genuine, and people will feed off that enthusiasm. I’m just kind of making stuff up here. But just change that around and make it about what they’re going to experience. And then you could follow that up with that you’re the artist. People like to connect with the artist so they do want to know about you. But on a sales page, you wouldn’t lead with…you would lead with what’s in it for them and ideally have a headline that maybe speaks to them. And also, another tip is, an important one is you can hit both pain and pleasure, like stress points. You can stress one or the other. This is something I learned from…on a recording by Anthony Robbins, Tony Robbins, the motivational guy. Years ago, he talked about there’s really people who are primarily motivated. And he got it from, I’m sure, psychologists or whatever decades back. So that’s like hitting on the pleasure aspect of it. That’s what you potentially could get if you really mastered online press kits or whatever. The pain aspect, I end up using a headline that was very effective for many years which said something like, “Are your press kits going into the trash can?” or something along those lines. And I had an image of an old-school trash can. But these days it could be in the email, the digital computer-based trash can, or a physical one. But I decided to push the pain in the headline of the thing, because, between the two, the seeking pleasure and avoiding pain, the pain one is actually a stronger motivator. Research has bared that out. So that doesn’t mean you always want to push pain, but initially, you can do both. It’s a little trickier with music. However, maybe you can remind people of all the garbage that’s on the radio. Sick of all the formulaic pop music that…even though most people don’t listen to radio these days. But sometimes it’s hard to find whatever. So you can find ways of working that into a music sales page. But those are probably a couple of big ones there. Make it you-oriented and then think about focusing some of your description on the pleasure that they’re going to experience and then the pain that they’re going to either avoid or relieve themselves of if they’re currently experiencing it. How’s that sound? David: Yeah, those are some great examples and tips. I like that, and I do remember reading that in Tony Robbins’ book so that definitely gives me a frame of reference for that also. David: You talked a little bit about this already, but how do you create a worthwhile experience for the people consuming your products? Bob: Hmm, how do you do that? So this is something I’ve always…yeah, so the other thing. I guess, now that I’m 20 plus years into being an author and a teacher and all that, I do believe that we are all simultaneously teachers and students. And so I’m a lifelong student in addition to being I guess an established teacher, or mentor, or resource, or whatever you want to call it. And so I’m always learning. Yeah, just like with the sales page stuff. You can really delve as deep as you want to go. There’s a lot of information out there. So as far as…basically, so what I already talked about is taking the concept and breaking it down, figuring out the scope that you’re going to cover. But let’s say it’s a course that does cover…so it’s this continuation of…so you figure out what the overall course or book is going to cover. And then you’ve got to break that down into chapters or sections or lessons. So what is this lesson and what’s the right order for them all? And again, I start with the basic premise and then kind of build on it from there. So first you have to create…it really helps before you write a book or create a course to have a solid outline. And so the thing is that outline can and it will evolve as you start to create it. You realize, “Oh, this thing that I thought was one lesson is really two. So I need to break that down further.” And another one that you thought was important, you realize that it’s not important enough for its lesson. I’ll incorporate that into another one. And then as you’re writing you don’t need to think about…or creating, you don’t need to think about the entirety of the whole thing. Just focus on that little sliver that you’re working on currently. With online courses, though, in particular, since we have the ability to create multimedia things, and also I apply this to my live workshops too just realize the different people learn in different ways. So if you can give people an array of experiences. So some people enjoy just reading. But other people, that bores them to tears. So give them something to do. Give them an activity. Like I try to have worksheets that people actually print and write on physically. And some people hate that but they’ll…. So if you give people a variety of ways to consume it, some people will prefer to watch it on a video, listen to it in audio. In a live setting, there are people that prefer to sit by themselves and just journal or make notes but other people learn more when they’re social. So I have exercises where people team up or into partners. And they do exercises. And so I get them physically involved in it. It’s a little tougher to do it online or a book setting. But how many different angles can you hit people from with the information? And that’s a whole art about how to decide what type of exercises and when, how do you use them and all that. But then it also makes it a creative challenge too. How do I compile all this stuff into a package that works? David: Yeah, no, that makes sense. And a couple of my eBooks actually do come packaged with audio versions. So I guess that’s maybe one way I’m hitting on what you just talked about in providing different media. Bob: Yeah, and you can take the same lesson. For instance, I’ll record an audio and I’ll record them with the intention of having PowerPoint slides or whatever that…but I’ll take the exact same audio that’s used in the video course and just make that available as an audio-only download. But then I combine it with images for the visual people, and then you could either…you’re reading a text that you already have written, and so then you have the text version or you have it transcribed if you’re just spontaneously speaking. And so yeah, you can take the same piece of content and repurpose it into the multiple formats. It’s not like you necessarily create a separate one, take time out to create a separate thing for each modality or whatever. David: Yeah, I guess that would just be about like planning in advance, making sure that you know how you want to repurpose the content you’ve already created. Bob: Exactly, yeah. I’m all about why reinvent the wheel. Bob: Yeah, there’s all sorts of ways. There are some books that I’ve published that are basically compilations of blog posts. And also, the book that I’m probably best known for is called The Guerilla Music Marketing Handbook (get it on Amazon US or Amazon Canada). Bob: And the first primitive version of that that I self-published in a three-ring binder came out like 20 years ago, like in 1996 was the first early version. And what that was, I think I mentioned early on, that I used to publish a local music newspaper and there was a period when I was writing monthly columns, and at one point I took like the 15 best columns, and then I went through them all and beefed them up and updated them and added a little more meat to them. And then just printed them on a copier and three-hole punched them and put them in a three-ring binder. That was the early version, the first edition. And it was one of the early books too on marketing for independent musicians back in those days. Everybody wanted a record deal. Most of the panels and the books out at the time were how to get the attention of A&R and agents and managers and all that stuff. And I was preaching this message of independence and here’s how to do it yourself. And so, of course, it evolved over the years. I forgot how we got…I forgot what led me to start speaking about this. Oh yeah, so again, that was a perfect example of early on, I was repurposing content I’d already created instead of starting from scratch. And I’d been doing that a long time. David: Yeah, well, I guess even Darren Rowse from ProBlogger‘s done really well with that kind of stuff too. Yeah, I think it’s 31 Days to Build a Better Blog, or something like that came out of that. Bob: Yeah, I’ve been following that for a number of years. Yeah, he’s done a really good job with that. That is a good example. And he freely admits these are available as free blog posts. However, I package them with exercises and make it convenient. And I think he’s sold a lot of those. David: He has. So I guess there’s both merits and demerits to doing that, but I think it’s a great way to leverage what you’ve already created. Bob: Yeah. One of the other books on the Guerilla Music Marketing series, at that point I hadn’t been blogging for a while. And I remembered the first time I took blog post…because the least, the things I did back in the ’90s were not all available online. But I remember I was paranoid about, “Oh, my God. People are going to know that most of these articles are available for free in their original form.” And I was like preparing myself to get some heat for it. And I can’t remember one person going, “I already read these online.” Even if they had read it and they either forgot, or you think that everyone consumes everything that you put out there, and it’s just not the case. Bob: And so I never heard a peep about it. So that reaffirmed for me that, yeah, it’s not something that anybody should really worry about. You’re doing them a favor by packaging it all in one convenient source. And they most likely never came across it. And even if they knew, it’s not like you’re hiding it from them or doing anything underhanded. I don’t know. So yeah, don’t get too worried about that would be my advice. David: Got you. Well, that’s definitely something I could be doing more of. 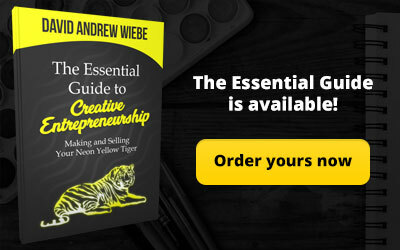 You started The Creative Entrepreneur podcast a few years ago. You talked a little bit about this in one of your first episodes of your podcast. But what inspired you to move in that direction? Bob: Yeah, well thanks for asking. So as I mentioned, music has been a long-term passion of mine. The written word has. Luckily I’ve combined them into a livelihood, primarily publishing books on music marketing over the years. However in addition to that, I have all these other…I have a pretty wide range of creative interests. And not just interests but things I’ve actually engaged in pretty heavily over the years. So that involves…you know, I’ve played in bands. I’ve acted in plays, performed and teaught improv comedy, I do visual art, I used to do standup comedy. It’s like over the years I had this crazy…and I have no idea where this came from. I really don’t have anyone in my life who was like this proactive in pursuing their passions or whatever. It was something that was internally driven. But when something looked like it would be fun and it was creative in particular, I would say, “I want to do that. I want to do it sooner rather than later.” So I would sort of act even before I was typically ready. But I would just jump in and say, “Let’s see how this goes.” And a lot of them worked out, or I just had a blast doing it. And so I feel like I’ve got a I guess a sensitivity to a lot of different areas of creativity. Now one thing that I realized back then, so this was in my 20s or 30s when I was doing all this variety. There was a time when I was playing in bands, I was publishing a newspaper, I was acting in plays, doing standup. It was like all over the map. And what happened was I was spreading myself a little too thin, so I wasn’t giving enough energy to any one thing. In particular, it wasn’t generating revenue. And so I did have to decide I need to focus on something, especially because I really determined to support myself and make a living. And I want to do it doing something I’m really truly interested in, in a way it’s also going to create value and serve people not just myself. But really you can’t really make money unless you’re serving others anyway. So, anyway, I made the decision back then that the books had the greatest potential to allow me to support myself and do good and do something that I’m…so I did sort of put everything. I continue to do things but I purposely put them in the background or part-time, and decided to focus on the books and the online exposure and all that. And it panned out because over 12 years ago I quit the last day job that I ever planned on working. And so, yeah, I decided to focus on music marketing initially, and then I widened and I included book promotions because I had success as an author. But I realized over the years, yeah, that I actually would like to speak to even a wider range of creative people. And years ago I had published a book called Unleash the Artist Within (get it on Amazon US or Amazon Canada) that also had a similar mission. It was kind of a sleeper title because it wasn’t very specific but I was determined to…so I came back and created the Creative Entrepreneur where, as a podcast initially, I was interviewing creative people of all types. So they’d be authors, there’s some musicians, painters, actors. If it was in a creative field loosely and they were doing well, and people were like thriving and doing well or had something to offer, I interviewed them and just picked their brains about kind of like you’re doing with me. How did you do that? What do you consider your top three characteristics that allowed you to succeed? It’s more about them, not them teaching a workshop, but about me just finding out what makes them tick. And I’ve interviewed people like Derek Sivers, who’s an old friend, who founded CD Baby; Jack Conte from Pomplamoose, and a lot of cool people. Laura Hall from Whose Line Is It Anyway? Yeah, a lot of people like that. Then the last year I published a book called The Empowered Artist (get it on Amazon US or Amazon Canada) which is sort of really the culmination of…it’s a very different book in that again it’s geared to creative people of all types. And it’s not so much about marketing or about tactics. This book is more about mindset and work ethic and the best practices, what successful creative people bring to the table. And I wrote it in a way that I think even 10 years from now it’s not going to be outdated. I didn’t really talk hardly at all about Facebook or social media. It’s more about that internal thing that successful creative people seem to have. And so that’s my story and I’m sticking to it. Yeah, but I’m referring to it as the Artist Empowerment Movement because it’s more than a book. The podcast is related to it. I have like a Mastermind group, it’s like an online thing. I created a music video around the topic. So it’s a whole bunch of moving parts, and really a mission that I’m on is sort of wake up creative people around the world to the power of the gifts and the value that they bring to the world. Because haven’t you noticed that creative people, probably even yourself, or the musicians that you hang out with, tend to downplay their value or play small because they don’t think they have the power to do whatever it is that they…pursue their dreams or whatever. So that’s kind of where I’m at with that. And it’s not about being unrealistic or saying you can make a living. It’s like you get to define your own definition of success. I want to be kind of clear about that. I’m not saying just pursue what your passion and everything is going to be great. There are no guarantees, so nothing that I say in the book, just because you want to do something doesn’t mean that the world owes you a living. However, you owe it to yourself to pursue that creative thing and do it on whatever level is right for you. You may have to keep a day job for the rest of your life or whatever. But you could still pursue your craft to where it satisfies you, that inner desire that you have to create. And also to share it with however many people you end up sharing it with. And it may be a dozen, it may be thousands. So whatever level it is it’s not about comparing yourself to somebody in the bestseller list. It’s about doing what’s right for you, but just giving yourself the permission to do that. David: Exactly. Yeah, I love that. And you’ve actually interviewed a lot of people that I either have been following or have been curious about for a while. So I can definitely recommend that listeners take a listen to that show as well. Bob: Cool, yeah. And that was one is at the…and there was a book I wrote early on called the DIY Career Manifesto (get it on Amazon US or Amazon Canada), which is almost kind of part memoir about my life and the path that I’ve taken to self-employment in the arts. And so that’s why the URL for that is diycareermanifesto.com, that’s where the Creative Entrepreneur podcast is housed if people actually want to take a deeper dive. In more recent episodes or seasons, I still interview people but I mix it up with some…sometimes it’s just me either reading part of the book or just ranting about something. So I bounce back and forth between me just expounding on something and then interviewing cool people that I find in my travels. David: Awesome. Yeah, and I related a lot to that story because I currently find myself in a position of freelancing in a lot of different disciplines, and kind of taking a look at what would it mean to kind of 80/20 my life and just kind of work on the things that I really want to work on. What would allow me to work mostly from home, which I already am but I still drive and go outside of home to work here and there. And I have other blogs besides the main one I’ve got at musicentrepreneurhq.com. So, yeah, I kind of find myself in that place and wanting to cut down, streamline a bit. Bob: Yeah, and it’s always good to focus and pare away the things that aren’t serving you. It’s a delicate balance because, yeah, on one hand…especially if you’re early and don’t know where you are in your career, whatever, early on in your career, I think it’s good to really focus. But then I’ve also seen people that claim that diversity or versatility or whatever helps them get more work. But I think it’s kind of a delicate dance. I always think of it as like branding, like you should have a leading public image, “I’m the guy that does this particular thing.” And then once people are kind of in your tents or they’re in your world you can make them aware of the other cool things that you do. But if you start off with your public identity as being, “I’m all things to all people,” it can be a little watered down. Bob: So finding that identity and the thing that can be that overlap between what you’re really seriously interested in and good at, and then the overlap there being a need or a want in the marketplace that people are willing to pay for, that’s the trick. But it can be found. A lot of people have found it. That’s why I seek those people out and always want to know how they got to that point. David: Yeah, exactly. That’s awesome. You’ve talked to a lot of notable online entrepreneurs. Is there anything that really sticks out about that? Any insights that have really stuck with you? Bob: Yeah, I think it’s this recurring thing. I definitely address it in The Empowered Artist book and it comes up a lot, but it’s this whole…the topic of fear and uncertainty. This is something that people struggle with in all areas of life. If you’re a human being you’ve wrestled with these demons of fear and uncertainty. I think one of the biggest takeaways from all these interviews and plus comparing it to my own experience is successful people do not have an absence of fear. They haven’t like banished the fear monster, “I am fearless.” Well, no. And so I guess it’s that people let the fear, “Oh, I don’t know how to…” That’s one thing I love about doing improv is that you don’t…it’s like it’s completely trusting not knowing where a scene is or game is going to go. And just trusting that you’ll figure your way through it, and make it interesting. And so, yeah, that’d be a big piece of it. Just take an improv class wherever you are. If you’re in St. Louis, take mine. But just become comfortable with uncertainty and do it anyway. And just realize that the fear is just sort of…it’s not the real you. It’s this little voice that’s probably from your childhood, that you’re probably actually taking advice from like an eight-year-old or something. Yeah, the best way to silence it is just to take action. Do it anyway. And so that’s the biggest thing is they’ve just learned, people have, they don’t banish fear. They still feel the uncertainty but they just continue to forge ahead nonetheless and take it and move on. David: Yeah. What are some common beliefs do you think that are holding artists back? Bob: Yeah, “Who am I to think I’m a writer?” Or people looking for permission or like acceptance, like they need validation from some outside source, as opposed to just giving themselves permission to pursue this path. Other things related to marketing and money, these are huge issues and I have sections in The Empowered Artist again where I kind of delve into these kind of psychological barriers that we have. Thinking again, I kind of mentioned it briefly earlier, but if you think that marketing is a necessary evil, and if that’s the message you’re sending yourself and other people, you’re never going to be comfortable promoting your stuff if you think you’re being manipulative or evil or…what do you call it? I don’t know, inauthentic or whatever. There’s a way to be honest and authentic and if you think of marketing as a strategic form of sharing what you have to offer and again make it…and Derek Sivers has talked a lot about this where marketing should be an extension of the creative process, not something that’s separate from it. Bob: And then there’s whole issues around money. That’s just a huge, huge topic and people are all over the map from it. With people who think that asking for the sale is…and I struggled with this myself. I’ve been doing this for years too, asking for the sale, putting a price on what they offer, their art or their service. And a lot of that comes from your self-value. That’s why you should really do a lot of this internal psychological work on yourself and root out those things that are making you think that you’re less than. You can give stuff away for free. I’m not saying…there’s a place for that in the marketing world. But also don’t devalue your art to the point where, again, where’s it’s tied to your self-worth. So yeah, but these are things that humans struggle with in all walks of life but because artists are so sensitive, I think they seem to be more prevalent with these creative types, and I’m one of them so I can relate. So a lot of this is me working out my own demons while I’m helping other people root out theirs. David: Right. But that kind of gives you a place from which to speak, right? Because you can speak from personal experience. Bob: Yeah. Luckily I’m in a much better place than I used to be, so some of this is in the past. But some of it…those voices never go away. And so I’m more aware of them. I guess awareness is the first step. A lot of people just sort of sleepwalk through life and think that their cloud’s just going to happen to them. But you actually can grab them by the reins and choose how you think about things which then affects how you feel about them which then affects your behavior and then your results in the world. And so again, yeah, that’s probably my biggest advice is to not only learn about marketing in your area of creativity but also read self-help books or things on psychology and how your mind works and plays tricks on you. And it’s just all about becoming a better person which helps you become a better artist. You didn’t know we’re going to get so deep today, did you, David? David: I didn’t. I’m glad we are though because there’s a lot of meaty information, and I actually do have an entire chapter in my book about personal development too because I think it’s hugely important for artists to be exploring that side of things. David: And I have my own thoughts on this obviously because the term “information age” is in the subtitle of my book, so what do you think it means to be a musician and the age we’re in. Is it any different from what it was in the past? Bob: Oh, definitely. And some of them are quite obvious. So the access, your ability to communicate directly with your fans. And that was a message that I was preaching before direct to fan was even a term. But yeah, in the old-school model in the music business, there was like a separation for the most part between the artists and the fan. And so then you needed gatekeepers to be able to deem you worthy to have a record deal or a book deal and reach a wider audience. But these days everyone has access to those tools. And so I guess in the information age, well, certainly for a non-fiction author we’re dealing with information. But for a musician they might be confused by that term, “I don’t want information. I got music, or I have art.” However, you can use the digital technologies to communicate. So we were talking about the different learning modes earlier. And basically, when I give…I have this thing called Social Media Music Marketing Made Easy in particular, but it applies to all social media. You basically, online or digitally, have four ways to communicate with people. Here’s again with me and the numbers and breaking it down. But old-school, the first way that I had when I went online in the mid-90s was text. So you had the written word, and that includes like blog posts, tweets, Facebook updates, email, the text, the written word. Next, you have audio, so for a musician obviously that’s music but it could be a podcast, it could be spoken word but you get people through their ears. The next one is like images, so with Instagram and Pinterest and all that, photographs, artwork, all the memes that go around, with the picture with a quote in it, whatever. So it’s a visual image. And actually, visual images are probably the most immediately impactful because you see something and you can get it instantly as opposed to you have to take time to read something or listen to something before you can determine whether you like it or not. But an image is really powerful, so everybody should be using images in their communication. And then the fourth one is video, of course, which can combine all of them in different ways. And so, yeah, you have all these. So the thing is you don’t have to do them all like I have tried over the years. Bob: It is. So of those four modes–written word, audio, video and visual, like still images type things–which do you resonate with? Which are you good at? Which could you do on a regular basis and not get bored with it, and make that like your primary mode? But just realize that you have all of these ways of communicating with people. So that’s the biggest thing because in years, decades past, yeah, we didn’t have that ability to reach other fans directly in that manner. Of course, the challenge is that everyone has got access to these tools, and so it’s a crowded marketplace out there. So you’ve got to work. It takes diligence to cut through and find your peeps. And that’s where marketing comes in in identifying who your ideal fans are and then figuring out what types of messages, what types of content you can digitally place out there that would be most likely to attract them. That’s the whole key, I guess, is just figuring out who you are as an artist, what you offer, who the ideal fan is that would be attracted to it, and then what kind of messages could you put out there that would reach them and have people like them share it with their friends and slowly discover you. Let’s go back to instead of tricking people, really just having kickass content. So a killer song, a great video, an awesome book, an amazing piece of art, that’s probably your best marketing tool but you can enhance it with other things that we’ve talked about throughout the talk here. Bob: Yeah, the way you title and tag things is another thing, like what are people searching for, and make sure that you label things with very specific wording so that when they’re searching for that thing there’s a better chance that they’ll find it. That’s another huge part of the strategic aspect of sharing this content online. David: Yeah, absolutely. Titling is so important, especially on YouTube and platforms like that. You’ve had some fairly high profile mentions on notable publications and media outlets. How do you get press for what you’re doing? Bob: Yeah, so I’m lucky in a lot of that has actually come to me as a result of me just being out there and having positioned myself as a resource. Again, kind of hammering home especially in the music marketing realm. So when people Google, when they Google “music marketing expert”, or “music marketing book” or whatever, because of my prolific amount of content over the years I will come up in searches. So a lot of that has come to me. It was…so I mention again this newspaper that I published in my hometown for 10 years. And even though that was years ago, and it was in the sort of pre-internet era, for the most part, I learned a lot about what it’s like to be on the receiving end of media pitches. And so that really helped me know that most…made me realize that most people go about it the wrong way. And so when I do seek out publicity, or when I respond to a request for the media, I have a great sensitivity for what they’re looking for. And very similar to the sales copy we were talking about earlier, it’s not about…like the worst thing that you can do, and I see it, and I’ve been seeing it for decades, is, “My band really needs some exposure. What could you do to give us some exposure on your blog?” which is all me-oriented from their perspective. As opposed to why their story is relevant to my audience, and why…if somebody takes the time to look at my site, and realize that I’m not…I don’t review music and I talk about music marketing, and they come out with a pitch that, “Hey, here’s a creative marketing thing we did. I think your Buzz Factor readers would enjoy it.” And it’s more likely it’s going to get my attention than the generic pitch. And so, anyway, just being sensitive to that has helped me, and then just having gotten publicity, being savvy about delivering what I think they want. Or not that I think they want, but delivering something that’s an authentic message to myself in a way that they can use. And I’m being a little vague there but, yes, I’ve been very fortunate to get…I’ve been on NPR twice, like National NPR. What was it, in the book world, Publishers Weekly. Some guy was doing a story on self-publishing like a year ago and reached out to me and a ton of others. Yeah, that got on my about page on my site. David: Well, that’s great. And it can definitely work that way as you begin to be seen more as an expert and influencer. People will start reaching out to you more. Bob: Absolutely. If you combine that with reaching out, yeah. I mean, there’s certainly all sorts of techniques and pitching via email or by phone or whatever. So follow up with media exposure, particularly the follow-up is crucial. Even if it’s just once or twice you’ll notice a huge difference in the response. If you just follow up with people and realize that they’re busy and their non-response does not mean that you’ve been rejected. So you have to get a bit of a thick skin in that regard. David: Right. Yeah, totally. That’s great. What about things like guest-posting? 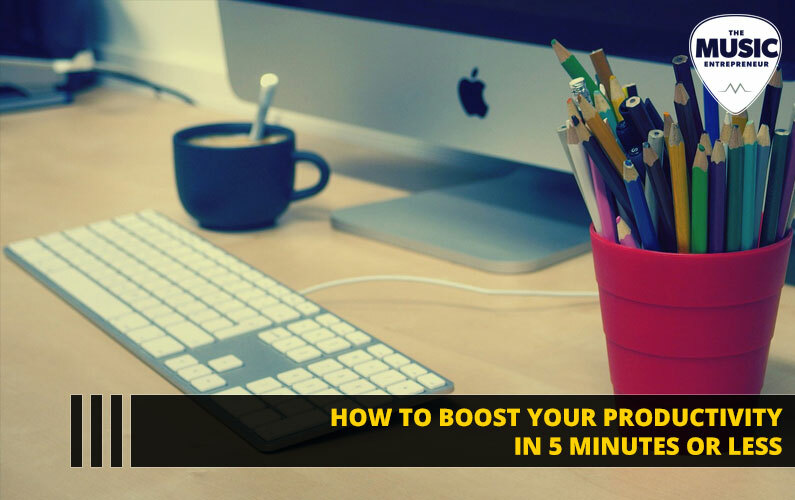 Are you a big proponent of showing up on other popular blogs? Bob: Yeah, I do think that’s a good move. And again luckily, because I’ve been in position to have been in the music marketing space for a long time, I’ve made friends with and gotten to know peeps. I can easily get guests posts on like the CD Baby, DIY Musician Blog, and Hypebot. Tom Jackson is a friend of mine, a guy in Nashville who does performance coaching. And sometimes I forget about submitting things to them. I could probably get more out there. But, yeah, definitely it’s a great way because you have to look out. Even though I think there’s a lot of value in having your own real estate on the internet, yeah, getting exposure on other existing blog posts. So one of the people I interviewed in the Creative Entrepreneur series was a writer and a blogger named Jeff Goins. And he kind of came out of nowhere where he decided he wanted to create this website that was all for writers in particular, about writing advice and publishing advice, and you were kind of following his journey. And he like came out of nowhere and he spent his first year he posted like 300, I think, blog posts, real high-quality blog posts on his own site, and then like another hundred things he wrote for guest posts. And so with each level of success that he got he would then move up the food chain to the next blog and he would befriend people instead of just only pitching. He would maybe compliment them or send them a resource or something that would be helpful in addition to pitching his own. But he came out of nowhere and within a year or two just built up this huge following and this exposure. And so it is possible but you notice, it was proliferation of content. 300, 400 blog posts in a little over a year. That’s a lot of dedication to that, pursuing that path. And so he’s a great example of how that did really pay off for him well. I haven’t had that kind of discipline to pursue that. But I did early on, though. I would seek those. I guess at this stage of my career I’m at a little different place, but he did. So it is possible still in this totally noisy era that we live in with all the competition for attention. But he cut through because he was dedicated to it. David: I think that’s a really great perspective. And you’re absolutely right, I think it would be a lot of work to try to post on your own blog that many posts and be publishing elsewhere. Something I’m trying to do but I can’t necessarily scale it to that level right now. Bob: Right. Although I’ve seen a list of some reputable websites that you’ve uncovered. So you’ve done your part. David: I’m still continually working on getting out there. But I’ve been definitely fortunate to create some good connections that way. Just a couple more questions, and then we’ll try to wrap this up. Hard to summarize everything we’ve covered here today because it’s been pretty meaty. But I think this one is really huge. 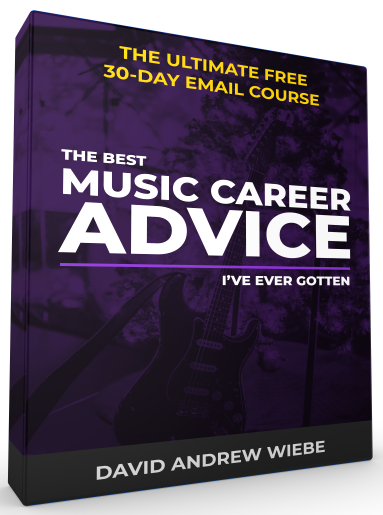 You have a video on YouTube called My Best Music Career Advice EVER!. And in it, you actually talk about the importance of a mission or a purpose above your goals, and how that had a huge impact on you in you book business. So talk about that. Bob: Yeah, so again in my quest to break things down into a list of three and four things, and I hope people won’t get tired of this, and I think in The Empowered Artist book I refer to it as the three levels of achievement. I can’t remember the way that I phrased it. But yeah, I articulated this in that too in a written form. But basically, so to get things done, to make progress, to move toward your goals or your dreams or whatever, there’s kind of three levels of activity that take place. And on the bottom level are what I would call tasks. These are like the daily…it’s like the things on your daily to-do list. These are the things that you do, the busy work, the phone calls you make, the things you design, the blog posts or whatever. So those are tasks. Now above that, in the middle level, is our goals. And so if you’ve paid any attention to goal-setting advice you probably know what SMART goals are, they ideally should be particularly specific and measurable. And these things work together. And so a lot of times people will just get busy doing stuff but then they feel after a while like they’re spinning their wheels and they’re not making much progress. And so they’ll curse, “I’m doing all this stuff.” But the things that they’re doing are not attached to goals. So what are your goals with your career? Or how many albums would you like to sell? Or how many subscribers would you like to get to your newsletter or your YouTube channel, or your Facebook likes, or whatever? So just put what are the things that are going to help me make progress, and figure out what those specific measurable metrics are. Again, I know we talked about how we were bad at measuring, but you can do a little bit of this. And you have to determine what numbers are important to you. Is it the number of subscribers? Is it the number of followers, fans, sales? So you’re going to have to set a few of these specific and measurable goals. So when your activities are tied to goals, you’re much more focused and you’re doing better than probably 90% of the population if you were just kind of randomly doing things or not even giving them any thought. So that’s a huge step if you can just do those two levels. Have goals, then make sure every day what’s the next action step I can take to reach that goal, and that goal? However, I think there’s an even more important layer on the top which is your mission or your purpose. This is your overall reason, your big why that’s driving you. And for me, years ago I realized I kind of maybe changed the wording but my mission is to inspire and empower musicians and authors and creative people to take their talents and their know-how, and to either make a difference with them or to make a living, whatever. Again, you don’t have to be full-time but to reach whatever your level of success is. And so that’s a pretty big empowering vision. And so to me I think it’s really more of a top-down strategy. If you really have a handle on what your mission is and your big overreaching purpose, and especially if that thing is to serve others, certainly there’s an aspect of it where I feel fulfilled when I’m serving myself by living out that mission but it’s focused on how I’m going to make a difference on other people’s lives. From that mission I then determine, or I encourage everyone to then, once you know what that mission is that then guides what goals you set. What are the goals, the specific and measurable things that I can reach that will help me live out that mission? And then once you have those goals in place then those determine the daily actions and the tasks that you engage in. And I think when you do it in that order, it’s the most powerful thing that you can do. And so that’s what that piece of advice is all about. David: Awesome. And I really like that. Are there any books you’ve read recently or in the past that have really impacted your thinking approach to your career? Bob: Oh, boy. Man, oh, man. Yeah, I’ve read a lot of great books over the years. Let me think. Oh, actually a recent one. It’s funny that it came out the same year…so early last year…again, I don’t want to…I’m not hammering on with this title, but I guess I keep on referring to it is The Empowered Artist book came out back in the spring, early summer of 2015. And then later, I’m a big fan of Elizabeth Gilbert. She’s probably best known for writing the book Eat, Pray, Love (get it on Amazon US or Amazon Canada). And then she had a couple of TED Talks that were hugely popular on the kind of…it goes more about creativity. And I guess because of the success of those TED Talks, she put out a book in September of 2015 called Big Magic (get it on Amazon US or Amazon Canada). And it covers a lot of similar ground that The Empowered Artist does. It’s all about that living a creative life. And she has an interesting take on it. Some of it is a little different than my approach but it’s really made me think. So that was actually a recent book that I read that I think would really be great. After you’ve read The Empowered Artist, check out Elizabeth Gilbert’s book Big Magic because it puts a lot of things in perspective about living a creative life. And again, giving yourself permission to create and deal with fear and all that good stuff. David: Nice. And is there anything else I should’ve asked? Bob: No, I think you’ve done a great job. Yeah, we’ve covered a lot of stuff here, David. Bob: Yeah, I really enjoyed this conversation and look forward to sharing this with your peeps and mine. And if people want to know, here’s a variety of things that I do, if you don’t mind me getting out a portal to all of my stuff. Bob: A website. So the main, like a portal to all my stuff is Bob-Baker.com. So it’s a hyphen or dash, whatever you want to call that, but Bob-Baker, B-A-K-E-R.com. And there are lists on of that page, it has links to all the music marketing sites, there’s a book site. There’s stuff on improv, my artwork, my original music. And then a list of all the books and all that good stuff. And so that’s sort of a good place to start. And then you can go to whichever link calls to you and dig deeper into whatever topic that would be helpful for you. So yeah, I appreciate it. That’s awesome. David: That’s great. All right. Well, thank you so much for your generosity, Bob. Bob: It’s been my pleasure.